Every year in Northern India, a vast city comes into existence on the flood plains of the Ganges. 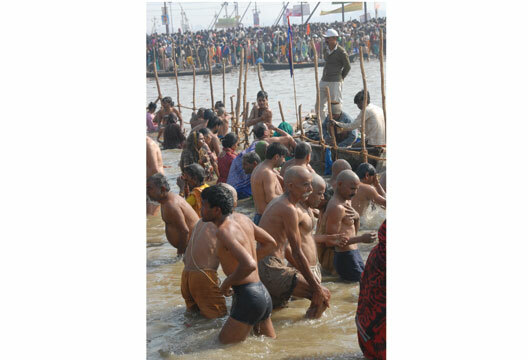 For a month Hindus come to devote themselves to religious rituals. Up to 100 million people can gather in a full Mela; 20 million on a single day.